Contractors who lead the way in culture change will have distinct advantages to retaining skilled workers. First year retention rates for women apprentices have anecdotally been estimated at less than 50 percent. By comparison, first year retention rates for men are estimated at 70 per cent. Hazing, bullying and harassment causes stress for workers who experience it directly as well as bystanders who witness it. Stress and distraction play a significant role in worksite safety. The new program defines an acceptable worksite and provides employers with tools, training and resources to improve and promote safe and productive worksite behaviour. 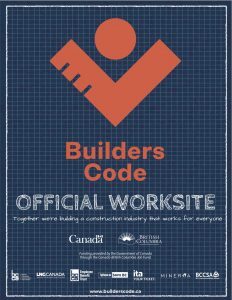 The Builders Code Worksite poster is on the last page of this week’s issue. 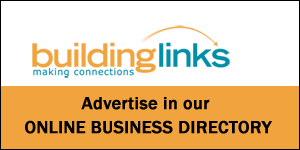 For more resources visit www.builderscode.ca.